Door Distributing Industries (DDI) is new to the commercial distribution world, but possess the experience to satisfy your needs. With employees who have over 20 years of experience in the commercial door and hardware industry, we will be able to point you in the direction of a quality product that is affordable. Here at Door Distributing Industries (DDI) we specialize in distribution of Division 8 and Division 10 products. 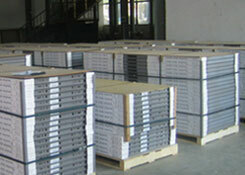 Door Distributing Industries (DDI) has wide variety of products for Division 8 and Division 10. Our Division 8 products include hollow metal doors, hollow metal frames, pre-finished frames, wood doors, and door hardware. With Division 10 we carry products that can satisfy your needs for toilet partitions, toilet accessories, and bath accessories. We distribute products for companies such as, Openings Solutions Group (OSG), Algoma Hardwoods, Inc, Oshkosh Door Company, Timely®, Knickerbocker, AJ Washroom, Stanley®, and Dorma. If we have a product here that will fit your needs please feel free to contact us. Iowa, Minnesota, South Dakota, North Dakota, Nebraska, Kansas, Missouri, Illinois, and Wisconsin. New Mexico, Nevada, Arizona, Southern California, Western Texas, Colorado, and Utah.